The next generation of tubeless tyres. A truly thrilling ride. It's fast, It's reliable, It's light. The patented MicroSkin construction makes this all possible - 70g less weight, 15% less rolling resistance and improved cut resistance all around. This is the absolute top model from Schwalbe! This Tyre can also be used with a normal inner tube. The integrated MicroSkin fabric takes on several important functions simultaneously. It ensures air tightness, guarantees reliable high-pressure stability and it improves cut resistance all around the tyre. I have been using Pro Ones for a couple of years now and highly recommend them. I am using them tubeless (25 mm version) on my Trek Madone. Last one on the rear lasted over 3500 km with one puncture. I'm using a 28 mm (again tubeless) on the rear of my Trek Checkpoint (and will be putting on the front when the 30mm G-One Speed I have on wears out). With rough roads around home I run them at 75 psi (25mm) and 65 psi (28mm) (I'm 82 kg) and they still roll easily while being quite comfortable. They mount tubeless easily on both Hunt 36/50 carbon wheels and Bontrager Aerolus 3 carbon wheels. That said I have experienced 2 that were almost impossible to remove from the Hunt wheels. I also find I have to pump to pressure before every ride. But that isn't any different in my experience to running butyl tubes with other tires. Great tires. They feel fast and smooth. No problems getting them on the wheel. Definitely would recommend. Amazing tires. Extremely fast and great handling. Supple ride quality but reasonably durable. Able to get 2500-3000 miles on a rear tire. These are my go to tire! So far so good. I`ve ony put a couple hundred miles on these but what really impressed me was the ease of installation. I`ve set them up tubeless on Shimano Ultegra wheels. Bought these tyres after reading a few good reviews online and they were my first experience of tubeless tyres. The rear one fitted on my Prime RP 50 rear wheel fine and I wondered what all the fuss was about fitting tubeless tyres, then came the front wheel! Four days later, a number of co2 canisters and the purchase of a compressor and I finally managed to fit the front tyre! I used all the tricks in the book but only a compressor would do the job. So far however they've been great. Initially grip isn't great but with a bit of use it's a different story. They've held air well and with the 28s on my road bike there's much more comfort. I'm just not looking forward to having to change them in the future after the effort it took to fit the front tyre. I had not found a compelling reason to try road tubeless until a recent spate of punctures in freezing weather had me fed up with fixing flats with numb fingers. So, based on reviews gave these a try. Billed as "tubeless easy", setup was anything but. I've set up many tubeless MTB tires with no trouble, but these nearly wore out my air compressor trying to get an airtight seat of the bead on DT RR421 rims. I finally had success, but only after lots of soapy water and after trimming off the dozens of rubber nubs along the bead of the tires, which seemed to prevent a good seal from forming. Lots of four letter words crossed my lips, but "easy" was not one! That said, the tires plumped up nicely to 30.5mm width on my 20mm inner rims. Then the ride...very impressed. The difference from my Conti 28mm GP4000sii tires with tubes was immediate. These felt grippy, yet supple and smooth from the get go, even though I was running at close to 90 psi (vs 80 with my Contis). The suppleness also makes for a nice road feel on rougher tarmac and the 6-7 miles of gravel I took the bike down. We'll see how the durability goes, but for now I'm very pleased, despite the struggle it took to set them up. This is my second pair. They were easy to install on HED Belgium + Rims, have good grip in corners, ride smoothly and quickly. Longevity is not as good as other tires I have used. Solid tubeless tyres. Won't go back to tubes now. The 25mm have been my favourite tyres for the last few years. Running tubeless. I got these 28mm for winter and the Tour of Flanders. Also running tubeless on Hunt wheels. Can't recommend them enough. Hands down the best tubeless road tyre on the market. Get yourself a dynaplug as you won't fit a tube in roadside if you're unlucky enough to get a total failure that sealant can't fix. This is my second set of these tires. The first set has 2100 miles on them and still have plenty of life in them. I run them tubeless 68 front/82 rear psi. I have had no problems with them and really like the ride qualities. I'm sold on Schwalbe tubeless tires. I run 38 mm G One's @ 38 front/46 rear psi on my gravel bike and have had no problems with them either. I do check the tire pressure before every ride. Most rides are between 25 & 40 miles. Finally got one that matches claimed weight. First two I bought were 286 grams, nowhere near spec of 255 grams. This one was 253 grams and strangely, a doddle to fit. All the others I have used have been an absolute pig to get on, even after watching all the 'how to' videos. This one I almost got on by hand, just a nudge with a small tyre lever and on, brilliant. Performance is good and never had any sealing issues or punctures, so can't complain. Expensive sure, but to go tubeless, worth it. Fantastic tire. Running tubeless on Zipp 303 Firecrests and the ride is phenomenally good. Fast rolling and responsive, confidence inspiring handling, and seals punctures very well with Orange Seal. OK I can`t compare these to other road tubeless as these are my first. I'm coming off a set of gravel(ish) tyres so I probably have no perspective -but damn these things are fast!... happy. Will see how tough they are in the longer term. I have used these tires for a few years now because they set up easily and ride really well. They aren't the toughest or longest lasting tires out there, but I'm willing to replace them a little more often for the ride quality they offer. Merlin's lower prices help too. Love these tires. Pretty tough, not to hard to mount, and roll exceptionally well! The Pro 1's roll so smooth and grip corners like glue. I have had only one flat , it might have sealed itself if I had checked sealant level which was low. I recommend these tires for their comfort and rolling resistance. They maybe a little more costly but to me a price with paying. The best tubeless tires in the market bar none! Grippy, wide, and excellent rolling resistance. This is my go to tire. This is my 8th order since they are on sale. $44 per tire on this can't be beat. My schwalbe pro one lasted me 3100+ miles with just one flat. I ran over a glass. I love these tires!! They don`t get much faster than this. They are very puncture resistant. They are not the most long-lasting tire on the market. I've been getting about 1,000-1,200 miles on the rear tire, and much more on the front. I've held off on reviewing my new Pro One tires until I had logged a few hundred miles of riding as well as completing a 134 mile/216km gran fondo here in western Colorado which I did yesterday. Let me say right from the start that Schwalbe Pro One tubeless tires are simply amazing! I have several sets of tires in my quiver and I'm seriously considering ditching all of them and going with this tire exclusively from this point on. I purchased 700x28's which are mounted to the newly released Stans Grail MK3 wheelset. I was unable to seat them using floor pump only but they took hold immediately with a compressor. Orange seal was added and the fit was tight and successful. I weigh 170 lbs and maintain 70 psi/front, 75 psi/rear and this has worked very well during road riding. They handle extremely well on asphalt and hard packed dirt surfaces and are adequate on gravel surfaces though can slip a bit but in terms of gravel grinding let's face it--this is a sleek, speedy road tire. The ultimate test I gave the Pro One's was yesterday's 134 mile gran fondo which included 30 miles of dirt/gravel surface and over 9,000 ft. of total climbing. I was initially a bit concerned about puncturing on the dirt stretch though am happy to report they functioned phenomenally well with a puncture-free ride (while I passed several other riders with tube setups off to the side of the road fixing flats). A check of psi this morning shows a loss of only 1 or 2 psi per tire. Quite impressive. All in all, Schwalbe Pro One tires are fantastic and have become my go-to rubber. I recommend them highly! So far so good. Not so hard to setup on Hed rims. Love there tires, great grip. Not great wear life but these aren't made for long wear. I don't have much experience with different tires. But these were way lighter than my previous tires. They also felt more comfortable even though they are of a smaller diameter. Would recommend these! Love these tires. On a wide ENVE rime (27mm external), the 23s actually measure just shy of of 27mm and the 25s are just over 29mm. Be aware. On older bikes this may cause a rubbing problem. My fist experience with tubeless tyres and so far its been a pretty good one. The tyres went onto the Fulcrum Quattro wheels I have without the need for tyre leavers and as easy as any clincher I have ever fitted. The rear sealed with the first CO2 cartridge, but the front had other plans and after 4 cartridges didnt get the job done I ordered a track pump air charger tank and when that arrived the tyre sealed on the first attempt. I picked up a sizeable puncture on my first ride out in the rear. I thought I had caught some vegetation in my disc rotor by the noise, but when I got home I realised that it was the sealant spraying out and hitting the seat down tube. Sealant did its job and got me home, I lost may be 15psi. Hole plugged and back out with the air tank charger performing very well to reseal the tyre first time. Post 2nd ride and 24 hrs in the garage I had a flat tyre again, this time from a slow puncture. no hole I could see so I filled a tub with water and located a tiny whole high on the side of the tyre. I added a little extra sealant, spun the wheel and watched as the bubbles stopped and the hole was sealed in seconds. So the science works, but I recommend you get a track pump primed air charge tank and then fitting them becomes a lot easier. The ride is better. These replaced Vitoria Corsa Gs Which took me safely around the White Rose Classic this year so a tyre I rate, but these are grippier by a big margin when you handle the tyres side by side. On the bike I am very pleased with the feel from these tyres both in the wet and dry. I've set a new PB for top speed on them and had my first ride in the rain yesterday for quite some time. They were as sure footed as I needed them to be. I am still experimenting with pressures but I immediately dropped 10psi in both tyres on fitting them. I am 80KG and ride most often in the Yorkshire Dales so plenty of ups and downs to enjoy. The drop to 60 front and 70 PSI rear is noticeable in the increased traction and comfort. The added bonus, Strava has estimated my Wattage has increased by an extra 10% since I went tubeless Part of that increase might also be down to a change of helmet at the same time to the POC Ventral Spin but I feel faster on these tyres and as most of us know when we think we can go faster we tend to do just that. I have taken off a star because out of the 3 punctures Ive had in 16 months of riding 2 of them are on these tyres. Perhaps thats just me being unlucky, but I think the trade-off here is on the grip and the feeling rather than a robust puncture protecting carcass. So I know I will need to keep on top of my sealant levels in the tyres to enjoy them to their full potential. A small price to pay for fast tyres. Love these tires. Be aware that on my wheeels, with wide, 21mm interior measurement ENVE rims, actual tire width measures at 26.7mm. Be aware. Bought 25mm tires and the measured at 29.7mm, which were too large for my frame. Pretty easy to fit despite much tighter beads than normal clinchers. Good set of tyre levers required - start opposite value and work towards the valve. They do get damaged by cuts but nothing that the sealant hasn't coped with and allowed me to ride home. I've repaired a couple of these with a tube patch inside. I have ridden over 5,000 miles on the Pro One tires. They are my favorite high performance tubeless tire. But they sacrifice some durability for speed, weight, etc. I keep a couple extra around and just live with replacing them more frequently. Fantastic tyres for tubeless, easy to set up, fast, and give much improved handling. Punctures are unheard of until the tyres are reaching the end of their life, and then generally they heal up nicely on the move. Not best in winter unless you feel two sets a year is acceptable. These tyres are incredible having just swapped over a front after 10,500 km. Thoroughly reliable and a comfortable ride and when matched with Stans, puncture proof. Great tubeless tire. Fast and light, with good puncture protection. Cuts are problematic but most of those would ruin tube tires as well. If you want the best feeling tire and can deal with lower tread life and somewhat finicky install, this is the tire for you. I'm on my second set. The first rear tire gained a nice gash 3000km in (on a ride where I was going 80Km/h and took a 60km/h turn!) but sealed itself (with Orange Seal). In short, if you are okay with shorter life and dealing with the tubeless, this is the tire for you. Great tyres, great price and great service. It's that simple! Want Details? Okay, here they are: Less supple than cotton wall tyres such as the Vittoria Corsa G+. 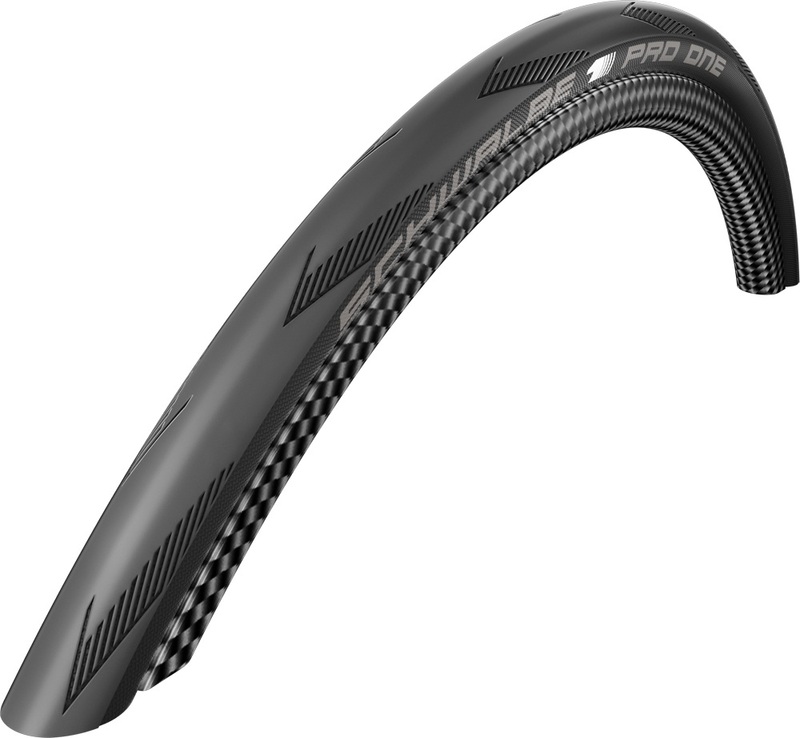 Longer lasting than other clinchers due to the rubber compound. Not so easy to pull on to alloy rims like the DA C60s but no problem on carbon rims like ENVE 2.2s. Inflation is easier on alloy shoulder-less rims like the C60s but much more difficult on wide section rims like ENVE 3.4 and 2.2s. In fact, the tyres sealed immediately on the C60s even before sealant was injected! Best price from Merlin. This is now my 3rd set of these and I have NEVER had a puncture! Well, I have never had a flat, actually. The sealant probably solved the punctures as I sped along. Tubeless is the future and Schwalbe, one of the great pioneers of tubeless, give us great tyres. Tight to get on but did it with my hands. Fitted and seated immediately with tubeless pump. No air loss so far so guessing they've seated well. Only ridden in dry so far but confident and fast. I love these tires. I use them paired with the Ultegra 6800 tubeless and they work a charm. They say you can use them without sealant, but I think that is missing the point. I have had several punctures that definitely required sealant to heal. My rear tire lasted just about 3000 miles on NYC streets through a winter. I suppose that isn't amazing but I put them through hell and I weigh 185 pounds. I might have been able to get a little more out of them if I really wanted to. I also found them easy to mount without the use of any weird soapy water and was able to inflate them without the use of a compressor. The best tyre for a tubless set up money can buy. Very easy to fit. Loads of grip in wet or dry weather and they roll really well. Above average wear as well. Highly recommended. Super fast rolling, easy to mount and didn't need an air chamber to seal the tire! These things are brilliant. The 28s roll beautifully. I suffered 2 punctures on the rear over 3000km but both self sealed and didn't require anything further. Great tyres! Great tubeless road tire. Fast, and grippy. They wear a little fast and not great puncture/cut resistance but it is a race tire to that is to be expected. Along with a little tubeless sealant they are great... I've had small punctures during races and never knew it until the finish. My housemate has killed six of these tires in the last seven months, but I ride most of the same roads as him and haven`t killed one. Either I weigh less, or he`s a moron. Anyway, they feel plush and roll fast and I`ve got no complaints. Great tire, my third one in a row. Will be purchasing again when in need of a new tire. Fitted these tyres to my Canyon Endurace to replace Continental GP 4000's. I'm running these 28mm tyres at 70ps front and 80psi rear, I weigh 76kg for reference and after running Continentals at 95psi the speed and comfort are a revelation. I would suffer from vibration numbness in my fingers on rough surface occasonally and now that is a thing of the past. I would have prefered to have fitted Contininenals if they had a tubeless in the range but Schwalbe have more than fulfilled my expectations. Best price for the best tubeless road tire available! I have been running the Pro One in 28 and switched down to the 25 to lose a little weight and gain a little speed. Same great tire with just a tad less rolling resistance. Thanks for the quick shipping and great tires! Easily the best tubeless road tyre I have used. Grippy, fast rolling and easy to install. I run my 25mm at 85 psi - 5.8 bar. These tyres sealed wonderfully on my new DT Swiss wheels and are make from a high quality material. The tires were easy to put on. You do need to lubricate the bead to seat it correctly. I merely sprayed soapy water on the bead. I haven't used them sufficiently to give a meaningful opinion. They do ride nicely, however, using 80 psi. I weigh 190. At 266 grams for a 25mm tire, they are a little heavy, but minus the tube they come out OK. weight wise. I'm assuming the added weight will add to their durability. I got tired of my long affair with Conti 4000 tires. I haven't been able to wear one out of the last 10 tires I used. Sidewall blowouts, big cuts, etc. Some I only got 100 miles and rarely more than 1000. I'm hoping for much better service from these. Fantastic Tire! My first use of tubeless tires and I couldnt be happier. Coming off of a race season of tubular tires I was pleasantly surprised at the ride quality of the Schwalbe Pro Ones...very similar to the feel and handling of high end tubular tires. At around 70psi these are superb, comfortable tires. And, the service at Merlin is second to none! Although still in the first 500 miles, these have been (by far) the nicest riding tubeless tires I've tried (and I've tried many). Currently running front at 70psi and rear at 75psi. Hopefully they last to 1500 miles or so! I set these up tubeless over the weekend and I had no issues. Awesome tires so far! Once the Schwalbe Pro One tyre arrived I took my bike in for a service and asked the mechanic to change from having an inner tube to tubeless (my clinchers are Cannondale Hollogram Si carbon). So far they feel superb. In fact, I have been out twice on the bike: long run; and interval training. On both occasions the bike felt really good. Overall, a great buy from a really good company. This has been the first time I have bought anything from Merlin Cycles. However, the service throughout that I have received has made me think that in the future I would like to continue buying from this company. Thank you very much Merlin Cycles. This is my second set of Pro Ones. I have a pair with about 1000k on them, and they roll like a dream, both faster and more comfortable than the Conti 4 Seasons they replaced. A little difficult to get on my Ultegra rims, but they pumped up fine with my track pump. I`ve had a few punctures, all sealed but one (I got it to seal later on my stand) while riding. I have Orange Seal in them. I`m riding 28s, and like them at 80-85 psi (I`m about 175 lbs). With a wheel upgrade I could probably shave 15-20 psi. I don`t think I`ll go back to clinchers. Tyre rolls smoothly and is easy to fit. has a relatively short life though as the rear was worn down to the casing after around 3700km. The front still looks brand new though. A well priced tubeless tire with low rolling resistance. A little finicky setting up however well worth it. Highly recommended rubber. Great tyres/tires! I run 25C and 28C's tubeless. Good grip and low rolling resistance. I'm using these Tubeless ready tire on my Fulcrum Racing Zero wheels with tubeless conversion tape. They run perfectly so far and great 25c comfort. Surprisingly painless to setup tubeless, roll/feel really fast and smooth on dead country roads. Raced a crit on them at the weekend and level of grip/stability cornering was exceptional. Changed the original Giant Defy Gavia 25mm tubeless, for a set of these in 28mm , massive difference in ride comfort and set a bunch of PBs on Strava segments. Great tyre! Set up is a little harder than I anticipated. I am using ENVE SES 3.4 rims, and thought the 'Tubeless Easy' would mount with more 'easy.' Nevertheless, once mounted, the ride quality is outstanding. Love the supple feel and hopefully flat resistance. Overall, so far so good, but I am only one ride in. Also, note that a 25mm in actuality measures about 28mm at its widest point. I had used Pro Ones in 25mm and liked the way they rolled as tubeless. Last order of Pro One's I selected 28 mm. Air pressure similar for 25 and 28's. I notice no drop in speed, but noticed smoother ride and on fast turns hitting small stones etc. bike was not skittish, more forgiving. Great tires. Our rides are usually fast club rides. Fitting them on a Hunt tubeless wheelset was very tight but these are great tires! Fantastic tubeless tires, less rolling resistance and great grip! The Land Shark bike that I bought last August was outfitted with Schwalbe Pro One's so I now have a year of experience and almost 900 miles on these tires. I love the soft shock-absorbed ride of these tubeless tires. Some owners complain that they are short-lived , but I haven't found this to be the case. I'm carefully watching and monitoring, but I have had good luck with them so far. It is also nice that the self-sealing feature of tubeless tires has always enabled me to finish my ride without having to stop to repair the few punctures that I have incurred. We have ridden my tandem bike twice and the tires have been great. Traction was awesome. Race coming up next Saturday. The tires will definitely provide lite weight and traction allowing us to roll to victory! Huge fan of Schwalbe and extremely happy with this choice. The performance so far has been excellent. They're installed as tubeless on my carbon fiber rims. Merlin offers them at the best cost I could find on the web. They ride quite nicely, but over the period of 2000 miles I've had a couple instances of small punctures that don't seal. Easy to install on wheels, super grippy but I am 85kgs plus with the bike and gear I am over 95kgs, as a result the rear tyre wears out after 3,500kms. Not bad but not great. That is the only issue. I've tried a few different tubeless tires. These tires are fast ! Also, sealant doesn't seem to dry out in these tires like it can in other tires ( must be the lining ). So far I like them a lot. I'm running 25's on my two endurance bikes, and 23's on my wife's Cannondale Slice tri bike ( all on HED 25mm wide rims ). Very resistant to punctures too. Really easy to install, especially, with the ever so difficult Ultegra 6800 Wheels. Used a floor pump to put air in. No need for a compressor or expensive pump. Tires were a bit hard to mount on Hunt wheels disc aero, but once mounted were easy to inflate. Keep tires inflated to 70psi, and seem to roll nicely on the 100 miles I've ridden on them so far. I am impressed with these tyres, they roll well and stand up to punctures well. I have had a few cuts in the tyres but over all they are a good product. I will purchase these again when needed. These are really easy to setup tubelessley with just a track pump and provide a sensational ride quality. Absolutely love these tires. Solid and stable in fast corners. My second 28mm pair, and I'll probably buy a third when these are done. Brilliant tyre, fast, comfortable, and light enough. Wears a bit quickly, but maybe I've just been riding more with these. The best upgrade I've made. The difference between these and my Continental 4 Seasons was so marked, I felt like I was riding a completely different bike. Definitely worth the hassle of fitting. I have Fulcrum 2 way fit rims and getting them on was tough, but I managed to get them to seat with a track pump and a lot of swearing! I had sworn off tubeless, but decided to try again with Schwalbe -- and I'm hooked. On my third or fourth set of these now (started with Schwalbe One). These do feel nicer than the One they replace, but don't seem to have given up any durability. I get around 3k miles for a rear tire, so they seem to last as long as (or longer than) other tires in the same category (fast road). The tubeless setup is indeed easy and flat protection of the tires + tubeless is fantastic. Fitted my tubeless rims without the need of a lever. That in itself deserves 5 stars. Roll well. Look great. TL or tubeless easy really does work. Fitted onto my xt 29' wheels with just a track pump. Don't look much bigger than the 25mm version on the other wheel. Delivery was great, so far so good. I was reluctant to make the switch to tubeless tires. But living in the goathead capital of the world I was becoming weary of the ride altering punctures. I found the Schwalbe Pro 1 tires to be top rated and bought a pair along with Mariposa Caffelatex sealant. The results are outstanding! Now the only way I know I or the wife suffered a puncture is when we get home from our ride and check our tire pressures. The wife was the first to roll with them as her bike has DuraAce tubeless ready wheels. So impressed was I by their performance that I converted my Supra RCA55 Elite clinchers to tubeless using the Mariposa Caffelatex conversion kit. We recently ordered our third set of 700x25 to be ready in reserve and I think I want to try 700x28 on my Sensa Guilia. We roll lower pressures with tubeless and that allows a more comfortable ride as well as increased handling! You can make the switch to Scwalbe Pro 1 tires and enjoy peace of mind in all respects to ride, handling, longevity and puncture resistance! These tires mounted first try. They were just tight but not too tight so I didn't need a tire tool and so my rims didn't get damaged. I'm sticking with this exact tire since it was so much easier than everyone said it would be to mount. Very good tire and durable for a race ready tire. When used as tubeless very fast and comfortable at lower pressure. And easy tubeless set up. Very grippy in the curves as well. Great tire. I am a huge fan of the grip and light weight of these tires. Big fan. Great Upgrade! Rolls smoother and is altogether lighter than running a tube. A little tricky to mount on my Axis 4.O but I eventually figured it out. Nice low weight for a tubeless 28mm tire at 268 grams. When on rim very easy. I've ridden only 150 miles on 2 rides with the Schwalbe Pro Ones and I'm impressed with their grip and handling. I ride them tubeless on my Cero AR22 wheels at 80 psi and they feel very good. I've been riding Continental Grand Prix 4000 S (and II) with tubes for the past 3-4 years and have been very happy with those. We'll see how well the Schwalbe Pro Ones wear over time but I do like the benefits of tubeless and am willing to sacrifice a bit of mileage if I have to. Very easy to install no tyre levers required and have been able to inflate with only a foot pump. Hold pressure well. Installed with 30ml Doc Blue "goop"
I have been "tubeless" for a few years now and have tried different tyres. These are the best to fit and the best to ride by far. First set of tubeless tires I've used and extremely happy with them. Rode about 4,000 miles on these with not a single puncture. Excellent road feel, traction, and low rolling resistance. After riding Continental GP4000S II tires for several years, which are excellent tires to use with tubes, I am now a convert to Schwalbe Pro One tubeless tires. The best tubeless tyre. Fast light and very easy to install. I love these tires so far. I've been running tubeless tires on my road bikes since 2014 ( my wife's bikes too ). I've had good luck with IRC tires, but these Pro One tires are ( so far ) even better. They hold air better, mount easier and seem faster. Sealant doesn't seem to dry out as fast. I'm slowly switching all my bikes to these, including my wife's HED Jet 6 wheels on her tri bike. Great tires ! So far seem very good, 25mm measure up at 27+ on my Hunt wheels (17mm internal), great grip but only done 1 decent ride on them so far. Good comfort with the size and volume. Mounted up tubeless fairly easily, took out valve core and gave a quick blast from my compressor (just with an air jet nozzle) then finished it with a track pump. Fast rolling, super grippy, comfortable with tubeless set up at 80psi, but seems to pick up cuts easily. Excellent tire. Noticeable reduction in rolling resistance from Michelin Pro 4 and more compliant ride. Handling is on par the Pro 4. Works well with Orange Seal sealant - impervious to most punctures. I wore out my One's and tried these. They're much, much, much easier to put on and are very grippy. I've already bought a second pair for replacement when the current Pro One's wear out or if there's a catastrophic failure. I wouldn't go back unless they wear very quickly. Fast rolling tyre that I can run at lower pressure than with tubes. 70psi gives a nice smooth ride. Went on easily with some washing up liquid to help the seating on the rim. Early days but hoping for less punctures. I've not install these yet but have used the Pro One in both 23c & 28c on other bikes and they are great. The 28s I've used off-road with great success. They install easily by hand, no tire levers, and inflated using only a floor pump. Highly recommended. These tyres are the new easy fit tubeless variety and they are! Used a little soap and water and only needed a track type pump and they seated nicely. First use and they appear to roll well and appear fast. After wearing out a set of 23mm Pro One's I wanted to try the 25's and found a great deal on them here at Merlin. I was a bit hesitant to order parts overseas to have shipped to the US but everything went smoothly. I received my order in 7 days with free shipping and the tires are great, I doubt there's a better tubeless road tire offered today. The 25's help smooth things out on the rougher roads I find myself on lately so I'm very pleased. I ride a 2013 Caad10 Black Inc with the Schwalbe Pro One's tubeless on a set of 38mm deep/28mm wide Easton ec90sl tubeless carbon clinchers. The ride is amazing running 85F/90R psi, I'm 225lbs. This is my favorite tubeless tire, but can be a little fragile relative to heavier/thicker tires. Makes up for that with far easier mounting. Takes a few tries to learn the tricks but tubless is the future of cycling. Great grip, great puncture resistance.... we'll see how long they last though! I've been running these tyres tubeless with Stans fluid on Reynolds attack rims for 3000+ miles and I've bought this one to replace the rear as it was starting to look a bit thin. They roll well and grip well . To my knowledge I've only had one puncture , but when I pulled the thorn out the Stans did its job. Once you know how to maintain these tires, you will love them. Since they are light and thinner, its necessary that you take a small kit to plug the tire if you get a flat. The plug appears to be able to last the life of the tire. I have also done patching inside the tire on larger cuts. Awesome tyres with my tubeless setup. Used them on Velocity Rims with two runs on Stans Tape and 40ml of stans sealant. Have ridden them for 350km now and they still look brand new. No flat so far, touch wood! They are also value for money, light and responsive. I can't really tell the rolling resistance thing, but they do ride beautuifully. I weigh 63kg and run the front at 65 and rear at 75psi. Tough to fit, expensive to buy, but fantastic tyres. Well worth it. Wow! These are just incredible. All good.. These are the best tubeless tires I've ever owned and been riding tubeless for six years.! No wonder Schwalbe One Pro became so popular. Fast, great grip, low resistance. One downside - wearing a little faster than I would like... but still my number one tire for all my rides. I went for the popular 25mm width to mount on my Am Classic Argent wheels. Had them mounted by my LBS, but will do it myself next time. They mounted without even using levers - easier than most clinchers. They are much lighter and roll faster than the Hutch Intensive I was using. The only issue (hence 4 stars) is that they are bigger than 25 - more like 28+ as measured by the caliper at my LBS. Clearance around my brakes was an issue when putting the wheels back on, but I worked it out. I think I'll try the 23 mm next time and see if they are closer to a true 25mm. Great tires that fit easy, found the 25mm needed more sealant than the 23mm to seal tight and took a little more time to fit. But all good with both sizes. Greart tires, really like the road feel and handling. Still determining average longevity but so far seem to return decent mileage. Excellent confidence inspiring tyres. Fast and appear to corner securely at speed. No issues yet. Pretty comfortable and quick even on 23s. 23-24mm on standard width rims. Not expecting massive tyre tread life which by then I hope to replace with 25s if in stock! Great prompt service from Merlin as usual. Chapeau! Excellent tyres. Super-easy tubeless installation, grippy, light quick. Don't know yet about longevity, but they're fine after about 200km so far. Definitely an excellent purchase at $50 a piece. Comparing the Pro One to the original One Tubeless which I have riden for over a year, the ride itself is not surprising. I rather feel that the original One has a smoother ride compared to the new Pro One. Having said that, the Pro One is definitely FASTER, as I have posted personal best Strava times just in the last two weekends. Using these on Bontrager Aeolus 3 & 5 Wheels, even the 23mm come up at 26mm and fit great. Very easy to mount on the rim just like a normal clincher. Best tip, leave them for a couple of days out the box at room temperature & then they go on easy. As for the ride quality... simply stunning, easy rolling & are super fast. They are a really grippy tyre and I have now fitted them to every tubeless set of wheels I have. Works well with Stans Solution and I added approx 30ml to each tyre, no punctures or rips in the tyres so far after 500 miles in 2 weeks. Fantastic price, very good service will definitely use again. These tyres are good, less rolling resistance compared to clincher. If you have the right rims definitely go for them. You can get special tape to seal your rims to stop air from leaks to use tubular tyres. So far so good. I upgraded to tubless wheels so hard to gauge. I can't comment on rolling resistance as my new wheels are so much better. I am using 30ml Doc Blue in my tyres and have had no punctures in a few hundred k`s of riding, not something I'd normally expect. I run 6 Bar pressure as I did with conventional clinchers, I weigh 72kg. I have no wet weather experience with them and I tend to avoid riding in the wet. I suspect they could be interesting in the wet! Handling in the dry on my Ultegra wheelset seems good through the twisties. Very little road noise heard from them. Tyre pressure seems to hold pretty good too, top up pressure weekly. They were easy to fit and did not need tyre levers to get them on. Initial pump up can be easy or take a while. Foot pump with some patience works ok. There is a distinctive pop when the tyre seats on the rim during the inflation process. Weighed the two tyres at 224g and 245g. I am sold on these and will buy again. Easy to fit. Good rolling. Won't go back to tubes after these. I approached this first set of tubeless tyres with a lot of fear and caution having heard all the horror stories about how tubeless are hard to fit, near impossible to inflate with a regular pump, messy sealant, heavy tyres ect ect. I shouldn't have been worried. Yes they were a bit of a stretch to put on my WH6800 Ultegra rims but only a tad more difficult than the Vittoria Pro's I have before, they also instantly blew up and seated with a regular floorpump. They seem so much more plush to ride than my previous tubed tyres and generally seem to roll very nice. So far i'm very impressed and don't think I'll be changing back to tubed tyres in the future. Got these for summer wheels, so not used them yet. But, having used Hutchinson Fusion 3s so far, I can vouch for the fact that the TL-easy badge holds true. Not as easy to mount as a standard clincher but the easiest tubeless tyre yet! Waiting to see how well they hold air but already looking forward to using them.